Fans of the iconic DC Comics Batman character of the comics no doubt have read, and presumably re-read, the classic 1988 one-shot graphic novel Batman: The Killing Joke numerous times over, as the story told within it by famous comic book writer Alan Moore and drawn by veteran artist Brian Bolland is among the most acclaimed narrative arcs that the character has ever known. Revolving around two central plot threads, one in the present and one in the past, the classic comic tells two dueling stories about the Joker that delve deeply into the criminal sociopath's psychology and tragic origins. It's already known that an animated feature film based on the events depicted in the aforementioned volume from DC Comics is already in production, with Mark Hamill reprising his role as the Joker in an adaptation that could receive an R-rating. However, according to legendary lead animator Bruce Timm, of Batman: The Animated Series fame, not every element of the classic book from Moore and Bolland will be recreated exactly as the story first appeared on the page. In recent interview conducted by Comicbook.com at the Wizard World Comic Con in New Orleans (see the video featured above), Timm teased a dark animated feature to match Moore and Bolland's brooding, melancholic landscapes and narrative interiors, but did state that the forthcoming The Killing Joke feature film adaptation would include the addition of substantial sequences of narrative plot that would be original to the new movie. According to Timm, the story told in the original graphic novel was simply not enough to sustain a feature film's length, though he has faith that he and his team have come up with a solution that works well on its own while simultaneously honoring the source material. Timm was reticient to reveal much more about the new movie, though he did state that he believes it will live up to his past work on such animated feature adaptations of Batman works such as Batman: Year One and The Dark Knight Returns. Going off of the lead animator's word, it would appear as though the classic DC Comics property is still in good hands that will craft an adaptation that is faithful towards its respective source narrative, however much the original story may have been tweaked for the sake of the film's length. 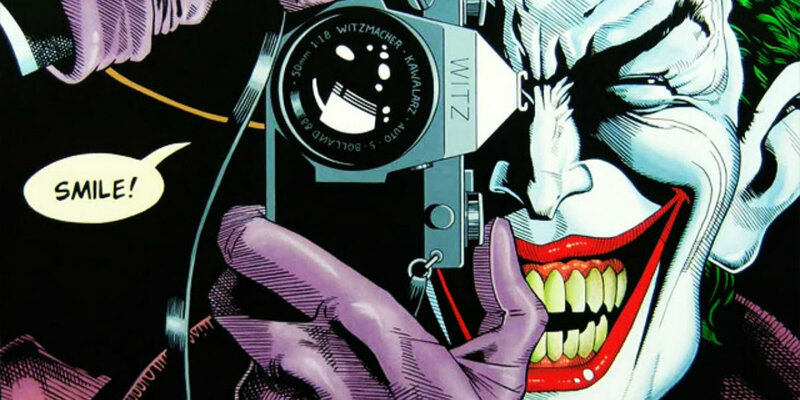 If everything goes according to plan, the forthcoming animated Killing Joke movie should be a worthy addition to the DC Comics film canon, as its literary source material has earned near unimpeachable praise for the past twenty-odd years. Whether or not the added material that Timm and company will have to add to their film proves in keeping with the original graphic novel remains to be seen, though for now fans will just have to wait until the film premieres in July 2016 at the international Comic-Con event. Batman: The Killing Joke will premiere at San Diego Comic Con in July 2016.